JioCloud offers you a secure cloud storage with JioCloud to keep all your photos, videos, documents, songs, contacts organized at one place. 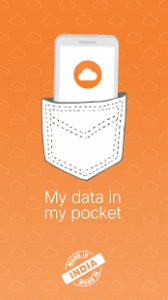 Files in JioCloud means you can access them from anywhere, share with anyone and manage them the way you want. You can reach us at care@jiocloud.com for any query or feedback.